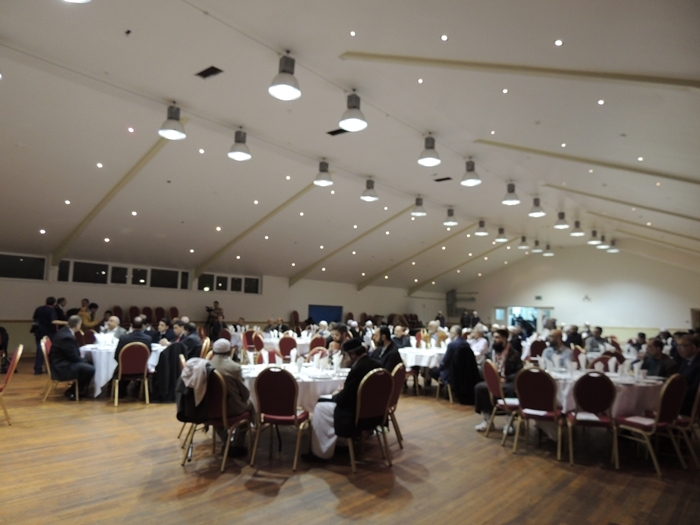 Muslim Aid held its annual Mosque Appreciation events, in Birmingham, Manchester and London on 22 and 29 February, and 6 March, respectively, in recognition of continued support in raising funds for poverty alleviation and emergency responses worldwide. All events featured a special award and certificate giving ceremony in acknowledgement of support provided for Muslim Aid appeals that include Burma, Syria and Gaza emergency campaigns. In their feedback, Imams and community leaders highly appreciated the achievements made by Muslim Aid and highlighted the importance of a continued relationship between Muslim Aid and mosques and community centres to ensure sustainable developments towards alleviating poverty and reducing sufferings around the world. On behalf of the Chair and entire Muslim Aid family, the CEO of Muslim Aid, Mr. Syed Sharfuddin, gave special thanks to all participants for their invaluable support and contribution. Explaining the importance of the contribution of world bodies in poverty alleviation and tackling emergencies, the CEO called for a Global Humanitarian Summit to agree a new Compact on International Humanitarian Principles and Values and to make current humanitarian systems more inclusive, open and participatory. Among others, AKM Abdussalam, Treasurer and Founding trustee, Hamid Azad, Asst. CEO, Sultan Ahmed, Acting Fundraising Manager, Willayet Khokhar MBE, Community Liaison Officer of Muslim Aid and Mr. Iqbal Nasim of the National Zakat Foundation, spoke at the London event. All three events were part sponsored by the National Zakat Foundation.